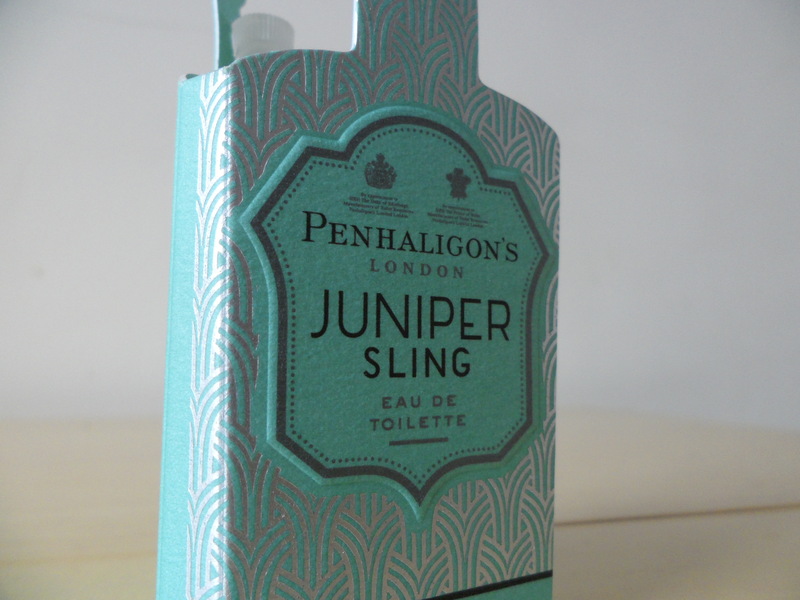 I was recently contacted by the luxury fragrance company Penhaligon’s from London regarding their new fragrance, Juniper Sling, which is apparently inspired by London gin. Ever one to branch out in to drink inspired products, I duly obliged to give it a go! Penhaligon’s first started up way back in 1872 by a gentleman named William Penhaligon. At this time he opened up a barber shop on Jermyn Street near Piccadilly Circus and created fragrances from light botanicles instead of the usual heavy, floral hitters that were found at that time. Nearly 140 years later, the company had brought out a new fragrance which influences itself from the London gin scene. With promotion of a ‘mock-umentary’ which takes a tongue in cheek look at the ‘Juniper effect’ (video link at the bottom), it entices you to find out what all the fuss is about! It’s target is for both boys and girls, it boasts a ‘crisp cocktail shot of gin’ and the use of juniper, angelica, black pepper and black cherry mix well to create a soft, but not too overpowering hit of gin aroma. A sweet brown sugar scent follows with an almost subtle forest wood like finish (don’t worry, you won’t get the look from people thinking you’ve just been swinging in the trees!). Master Perfumer Oliver Cresp has done a splendid job at re-creating the essence and experience that London gin produces. I’m surprised nothing has really been produced like this before as London gin has many qualities to create a great range of fragrances. 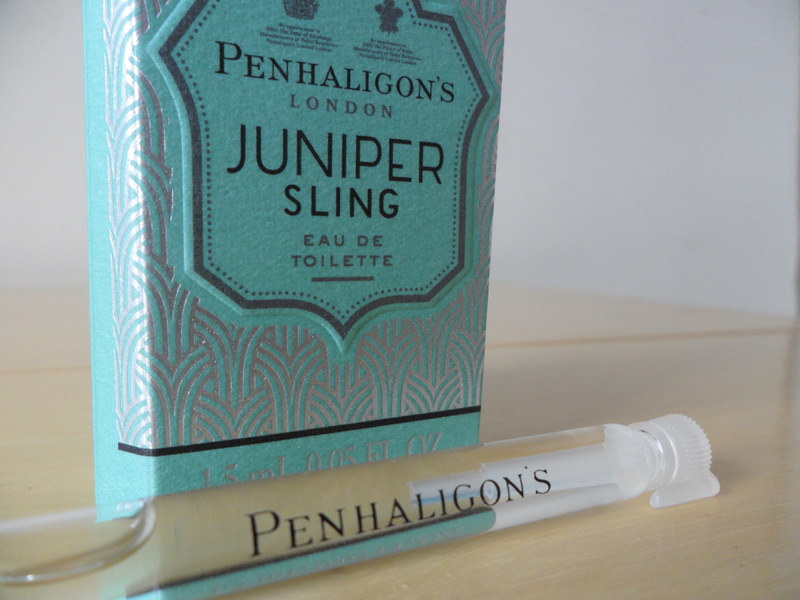 Hopefully Juniper Sling will be a hit for all gin and non-gin lovers and perhaps see a rejuvenation in gin fragrances. And as Penhaligon’s say ‘Apply liberally and drink in’. Agreed.